‘These days will never come back.’ – These were my last words when I graduated from my engineering college in 2007. Three years down the line and I have to eat up these words, piecemeal. To a working professional like me SPJIMR has been a dream, an achievement and a panacea to the mundane life at work. With its emphasis on combining the western values of efficiency with Indian ethos, SP Jain is the place to learn management. Curiously this wasn’t how I viewed SPJIMR prior to joining this college. I was told by many that their admission process is a lottery system and it’s a waste of money trying to apply to this college. However since I’d already filled a gazillion forms last year I didn’t think twice before buying SP’s admission form. One of the unique features of this college is that we have to choose our specialisation while filling the form itself. The pros and cons of this approach might be a matter of contention amongst some but it sure worked fine for people with a good amount of work experience like me. And in the end shouldn’t a budding manager know at the outset why he intends pursuing an MBA and his propensity towards a particular specialisation? In a nutshell the interview calls to SPJIMR are of two kinds; a profile based call which takes into account all your achievements till date including your academics, extracurriculars and work experience, and a CAT/XAT/GMAT based call which factors in the scores of these entrance exams. Once the calls are out, very little weightage is given to these entrance exam scores during the final selection. The distinctiveness of SP Jain does not stop here. The interview process is an experience by itself and something to cherish for everyone. There is no group discussion or personal interview but a group interview which consists of 6 candidates being interviewed together by around 5 members of the faculty. In some cases a single student from the 2nd year was also sitting along with the panellists. The key to cracking this interview is probably being yourself and avoiding sitting behind a veil or a mask and of course going there with an open mind. Hence I’ll refrain from divulging any more information which may cloud your ‘open mind’. Coming back to the college life here, SP Jain is a pioneer and a vanguard in most of its initiatives. Its program DOCC (Development of Corporate Citizenship) is a unique 6 week program wherein students are sent to different parts of the country right from Andaman to Ladakh, to hone their management skills in social sectors and create awareness about the need to contribute to the society. Programs like ‘Abhyudaya’ which involves mentoring a bright but poor kid and ADMAP, an initiative setup to improve our administrative skills are few of the programs which sets us apart from the rest. 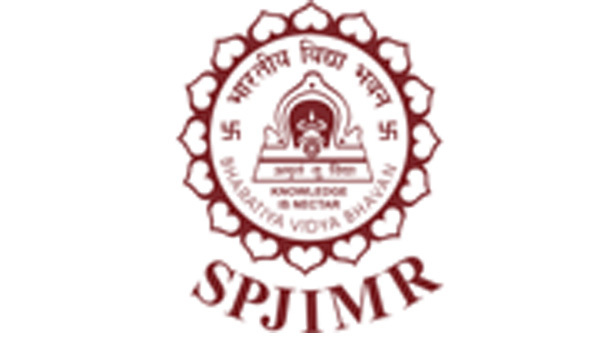 In addition SPJIMR follows a case methodology pedagogy wherein training material from Harvard School of Business is used. In addition the faculty from here are regularly sent to HBS to spruce up their teaching skills. It’s a well known fact that in a B-school, along with what’s being taught in the classroom a majority of the learning happens through your peers. Amongst the top B-schools in India offering a 2 year course SP-Jain has arguably the most diverse batch. Apart from the usual engineering junta from the premier tech schools like the IIT’s and the NIT’s we have a good number of commerce, science, arts and BMS graduates. In addition we also have a hotel management graduate and a person who has a degree in film making doing the course with us. A good mix of freshers and people with work experience gives the batch an optimum mix of perspectives and makes the class discussions pretty animated and enriching. ‘We are all part of the rat race’ – This is what we all thought during our CAT preparations. However this myth has been totally debunked out here at SP Jain. Here we are discouraged to look at academics from the point of view of maximising our GPA’s. In face the emphasis is on doing what you like, what interests you, working on an existing hobby or taking up a new one. The academic learning aspect takes care of itself thanks to the regular presentations, case studies, group works, industry visits and one of the most exciting parts of the course in my opinion: the business simulation games. After 2 years you won’t see old, wretched rats being churned out here but business administrators in their true sense walking up the corporate ladder. In the end getting into SP-Jain depends not so much on your entrance scores than your all round personality. SP does not care if you’re an engineer or not, whether you’re experienced or a fresher, whether you’re black or white; you just need to fit into the culture of this organisation. So, do you have it in you? Wish I could get a chance to study there. I have got through to Immersion.. Desperately hoping to convert!! SP Jain values me for what I have been and done in the past, presently doing and what I intend to do in the future. Very nice and honest article I believe….Kudos ! What makes XLRI Jamshedpur so special – A few XL-ent facts!